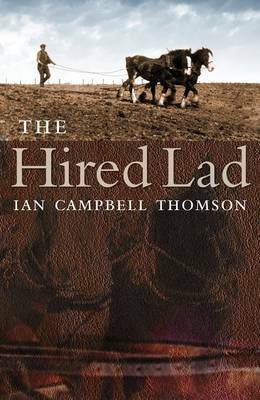 Ian Campbell Thomson relives his time as a young farmworker on a Stirlingshire farm after the Second World War. It is a touching coming-of-age tale: we see the author make new friends and romances while finding his own way in a changing world. He describes the passing of age-old country ways, as technology begins to replace traditional farming methods. The book is dedicated to Donald and Blossom, the magnificent pair of Clydesdale horses with which he ploughed, until the sad day when they were replaced by a smart Fordson tractor. Of those early times he writes: 'I often wondered how far I walked in a day behind the plough. My guess was somewhere between 12 and 15 miles...the words the ploughman homeward wends his weary way just about sums up the end of the day trudge back to the farm, with darkness closing in and the stable work to be done'. Peopled with memorable characters including the hard-working 'boss', and the wise Aunt Kit, this is a unique tribute, full of humour and nostalgia to a disappearing culture.